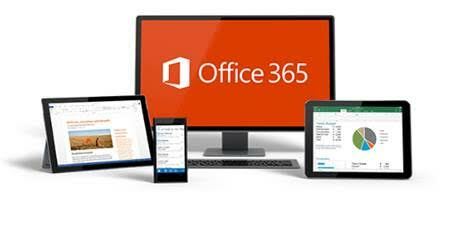 Microsoft Office 365 bundles bring you the latest and trusted versions of software for business, with sizes varying depending on the needs of your business. You can choose from a range of plans which all have the same service availability. It is industry leading and has anti-spam and anti-virus solutions that are 24×7. Office 365 allows you to access powerful Microsoft Office applications and tools from wherever you are; the office, on the road or at home. It will be completely secure and available from almost every device; anytime, anywhere. IT level support is available over the phone, web or email and is tailored to the needs of each staff member. AVD can provide your business storage and security on a pay-as-you go basis through Telstra Cloud Infrastructure. Or if you’d prefer a subscription basis, securely hosted in Australian data centres with 24/7 support. Businesses can spend thousands of dollars on hardware for their premises. Instead of continually investing in your own applications and on dedicated servers this option may be for you. Virtual Servers provide computing resources where you share the underlying server hardware platform with other Telstra customers. Dedicated Servers provide physical server blades dedicated to customers use for extra control. Customers can choose a self-managed virtual server package or a Telstra managed a virtual server or physical server configuration. Disater Recovery is in real-time and highly availability which allows you to get back online in the event of a security threat or natural disaster by offering a recovery site offsite and hosted in a protected and secure Telstra Data Centre. It is your choice whether you choose a Virtual or Dedicated Server. Both options provide the highest levels of support. AVD can provide a managed service to your business that eliminates the problems that business have in maintaining their computer and telephony environment. Most businesses cannot afford an IT manager to be resident in their business. This leads to ongoing charges and the frustration of having many staff look after your equipment. Someone from your telephony company, someone from your Network provider and then there is your IT service provider. Not to mention your mobile devices and wireless networks. That is where AVD is different. We can look after your whole business. AVD have designed plans that bundle your whole network and telephony in one. You can just add what service you want us to look after and bundle it all together for one monthly fee.